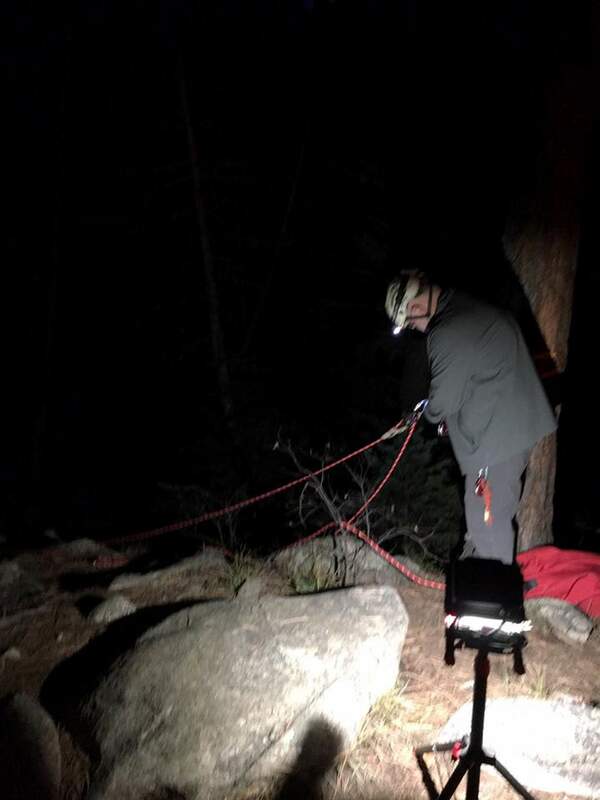 A 19-year-old man, not pictured, was rescued after falling 65 feet while free climbing Saturday evening in Transfer Park north of Lemon Reservoir. Upper Pine Fire Protection District was assisted by La Plata County Search and Rescue. A 19-year-old man was flown to Albuquerque Saturday night with critical injuries after falling 65 feet while free climbing at the Transfer Park north of Lemon Reservoir. Upper Pine River Fire Protection District Chief Bruce Evans said rescuers had a 10- to 15-minute hike to reach the man, who was climbing alone. Evans did not have a name for the man. He said the man was in and out of consciousness during the rescue. Evans said the man suffered “critical” injuries, but he declined to detail the man’s injuries citing privacy requirements in the Health Insurance Portability and Accountability Act. Upper Pine River Fire Protection District was assisted by La Plata County Search and Rescue, Evans said. The man was taken by Flight for Life to Mercy Regional Medical Center and from there to University of New Mexico Hospital in Albuquerque. Evans said witnesses had to drive to Lemon Reservoir to get cellphone coverage so they could place an emergency call. The call came in just before 6 p.m., he said. Evans said this is the third rescue of climbers in the area in the past two years, and he advised climbers in Transfer Park to have a backcountry beacon to alert emergency responders of problems because the area lacks cellphone coverage. “You should always climb with a partner. You should never climb alone,” he added.